Credit unions should be on your radar. We created this list so you can compare popular credit unions to your current bank and see if it’s time to make the switch. If credit unions aren’t on your radar, they should be. Sometimes, people don’t try to join a credit union because they are worried about membership requirements, or think they won’t be able to find easily an ATM. Thankfully, you don’t need to be concerned about either. As of June 2018, there were over 5,000 credit unions in the United States, and many offer ways to conveniently access ATMs throughout the country. Plus, there are plenty of benefits to using a credit union, like lower interest rates on loans. Like evaluating a bank, you’ll want to do some research to see if a credit union is the right choice for you. To help you out, we did some research and identified some of the best credit unions that you should know about. The list includes credit unions with low fees, nationwide ATMs, generous perks, reasonable membership requirements, and less geographic restrictions. This information is also useful for you to compare your local credit union to the best ones out there. If your priority is to find a financial institution where you can have both checking and savings accounts that earn interest with no fees, Alliant Credit Union is a great pick. Save money and earn money. The high rate savings account earns 1.45% APY (annual percentage yield) on balances of $100 or more. The national average for savings account APY is 0.06%, so Alliant's rate is very good. If you maintained a balance of $10,000, you would earn $145 in interest over a year. Interest earned on checking account balances. While it's somewhat rare to earn interest on a checking account, Alliant members enjoy an interest rate of 0.65% APY. Basically, there are no fees. You avoid the minuscule $1 monthly fee for paper statements if you choose the paperless billing option. Otherwise, there are no fees required for the High-Rate savings or checking accounts. Here's how to get around the membership qualifications. Membership in Alliant Credit Union is mainly restricted to people who live or work in Chicago (where Alliant's headquarters are located). You can also qualify for membership in Alliant no matter where you live by making a one-time $10 donation to the charity Foster Care to Success. Shared use of ATMs and branches. Since Alliant participates in a national partnership program called the Co-Op Network, its members are able to use over 80,000 ATMs around the country with no surcharge. Members of the network also share over 5,000 credit union branches so you will never be far from a branch where you can do your banking in person. People who are associated with the Department of Defense (or any other government department directly working with the military) should check out the Navy Federal Credit Union. No back door to sneak in. There's no donation opportunity to sidestep the membership requirement of being employed by, or related to someone who works for, the DoD and military. The biggest credit union in the U.S. 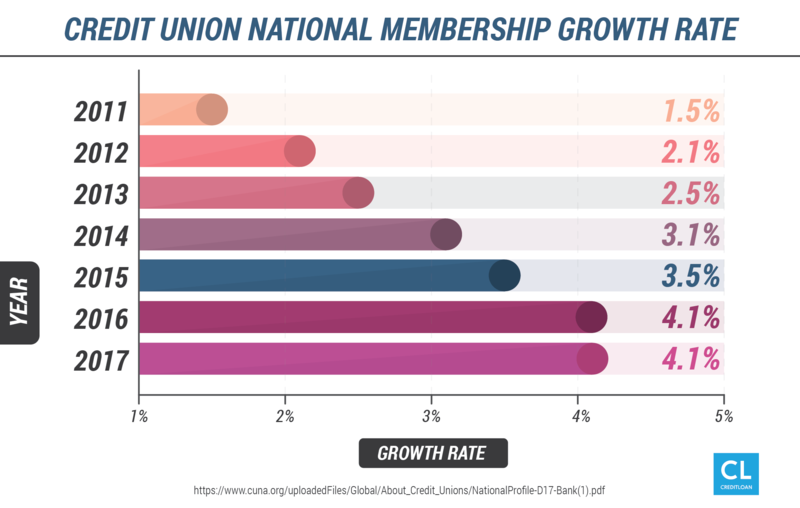 The strict qualifications haven't stopped over 7.5 million people from joining NFCU, making it the largest credit union in the country by membership. It's also the biggest credit union by assets with over $90 billion. Use its ATMs and branches or use another credit union's. The NFCU has 295 branches and 580 ATMs of its own. As a participant in the Co-Op Network, members are able to access the 5,000 affiliate branches and 80,000 ATMs. Never had a layoff. No employee has ever been laid off from the NFCU in its entire 85-year history. 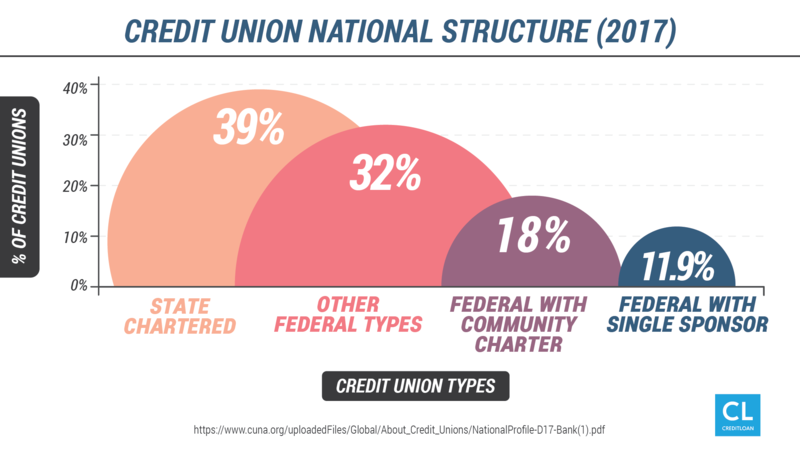 Its 100% no-layoff track record demonstrates the social conscience fostered by credit unions (especially compared to banks). Fantastic rates for borrowing and saving. One of the biggest benefits of choosing the Navy Federal Credit Union is the customer-friendly rates it offers members. The APY for the Flagship Checking account is 0.35% and grows to 0.40% for balances over $10,000, and 0.45% for those over $25,000. The Money Market Savings Account earns interest at an APY of 0.60% for balances under $10,000 and goes up to 0.75% if the balance is over $50,000. Not as good as Alliant, but not bad. Although it's not as high as Alliant's APY, the interest earned with the NFCU savings accounts is still well above the 0.06% national average. Sweet credit card interest rate. The NFCU Platinum card APR starts as low as 7.24% for members with high credit scores. With no annual fee or fees for balance transfers, cash advances, or foreign transactions, the Platinum is a real credit card deal. More great rates on other loans and savings products. With savings CD's earning up to 3.00% APY and car loan offers starting at a competitive 2.29%, membership with NFCU is definitely appealing. For those who have issues with their credit scores, NFCU is also known to be a little more forgiving and welcoming than its competitors when it comes to rates and approvals for loans and credit cards. Consumers Credit Union seems limited geographically, with branches only in the state of Illinois. Virtual banking solves the problem of regional branches. As one of the many credit unions shifting focus to online banking, anyone can get an account regardless of where they live or work. But some credit unions don't allow people who don't live in their region to sign up at all. For instance, in Achieva Credit Union's case, you can only be a member if you live in one of 10 counties on Florida's Suncoast. Use any ATM for no fee. One of the best features of Consumers Credit Union accounts is unlimited reimbursement of ATM fees no matter where you use one. Enjoy freedom from fees. There are also no annual or monthly account fees for any accounts. Highest checking interest rate. 3.09% on checking balances up to $10,000 (if you meet monthly requirements like making 12 debit transactions) is quite simply the best rate you will find anywhere. It gets even better. If you get a credit card with Consumers Credit Union, your checking APY goes up to 3.39% if you spend $500 in a month on the card (up to $15,000), and up to 4.59% for over $1,000 a month (up to $20,000). If you earned 4.59% on $20,000 with monthly compounding interest, at the end of the year you'd have made $979.31 without lifting a finger. No membership restrictions. As long as you're OK with doing all your banking online, over the phone, and through the app, you can be a member no matter where you live. You just have to pay a one-time $5 membership fee. Like the Navy Federal Credit Union, the Pentagon Federal Credit Union is technically only open to Department of Defense employees and members of the armed services (and their families). Make a donation and you're good to join. Unlike NFCU, you can make a small donation to either Voices for America's Troops or the National Military Family Association to qualify as a member of PenFed Credit Union for life. Access ATMs worldwide. Through a partnership with the AllPoint ATM network, PenFed members can access thousands of ATMs all around the world. Solid products and services. PenFed offers checking and savings accounts with no fees, super-low rates for car loans, personal loans, and mortgages, and investment products. Superior rewards credit cards. The best products PenFed offers are its no-fee rewards credit cards. Big cash back just for having a checking account. PenFed Power Cash Rewards offers 2% cash back earnings on everything if you qualify for PenFed Honors Advantage. If you spent $10,000 in a year on the card, you'd earn an impressive $200, with no annual fee clawing the money back. To qualify, you need to either have a checking account with PenFed or have performed military service. For everyone else, the card earns a respectable 1.5% cash back across the board. You'd be hard pressed to find a better rewards program. The PenFed Platinum Rewards Visa Signature card offers 5x rewards points for gas purchases, 3x for supermarket shopping, and 1x for everything else. The rewards are all gravy. Since there's no annual fee, there's no need to calculate how much you'd have to spend to make it worthwhile. If you do your banking at a for-profit banking institution, I have a challenge for you. Take the best credit unions listed above and compare their rates, fees, and services to your existing accounts. If you're already a member of a credit union, use the list above as a benchmark to compare your rates and services to the best ones out there. Choose a credit union that matches your financial needs, preferences, and priorities better than your current institution. There's a very good chance one of these credit unions can meet your needs better, with fewer fees and better rates. If you're choosing a credit union for the very first time, use the above examples as a guide for the best options out there. 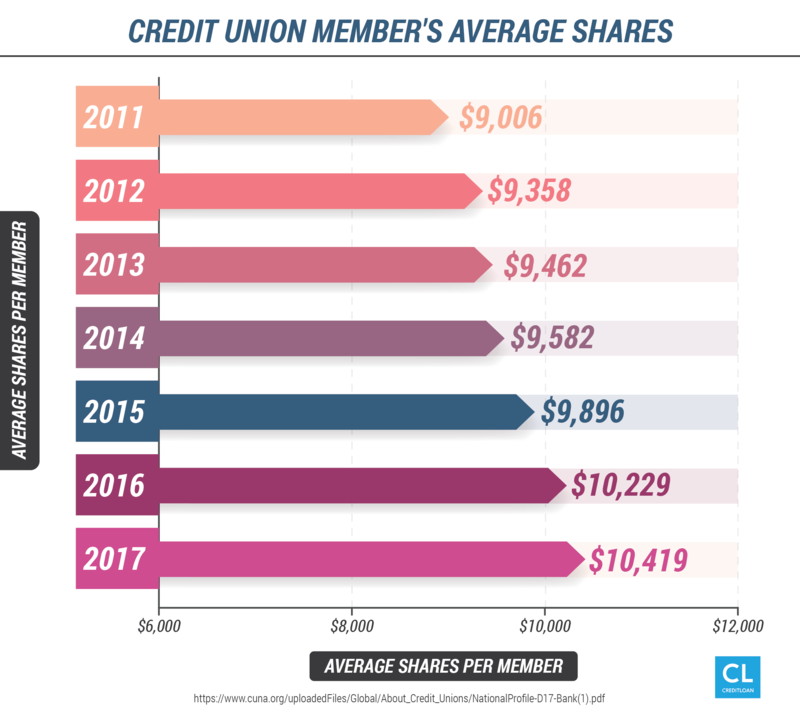 You should also look into your local credit unions to see if they measure up to the best-in-class examples you've learned about here. Have you ever used a credit union? What are the best perks your CU offers? How does your banking institution stack up against these options?